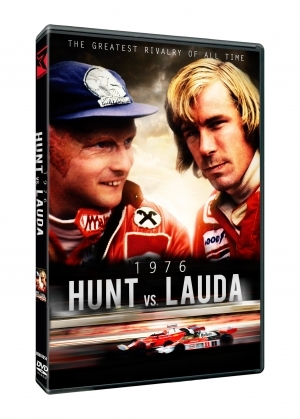 1976: Hunt versus Lauda is not interested in bucking genre. With less interesting content, that might be a flaw, but here the story is interesting enough that the film is successful. Director Matthew Whiteman manages to make the Hunt and Lauda rivalry compelling to non-racing fans, probably because he pays attention to James Hunt and Niki Lauda as men, not just as racers. That is not to say we come to know Hunt or Lauda. 1976’s scope and run time do not allow for such widespread understanding. It is to say that we see glimpses of each man’s humanity and are thereby drawn into their story, no matter our perceptions of Formula One. Whiteman uses standard documentary format, showing modern day interviews mixed with stock footage of discussed topics. It is a proven technique and works well. This documentary is roughly fifty minutes long, a fact that often hinders it. Like the narrative film released in 2013, 1976 doesn’t explain everything. Why did the racing organization return the points Hunt lost in Spain? Why did they review his car in the first place? Why did Lauda’s helmet come off? And more. Had this documentary been longer, the story it tells might feel more complete. Some of the sound mixing is a bit off. Music and race car sounds sometimes drown out the voice over, be it the narrator (Ed Stoppard) or interviewees. And yet 1976 proves mostly successful. It sets out to document the rivalry between James Hunt and Niki Lauda, the one that resulted in the latter being badly burned and the former being crowned world champion. Given its limited ambition, the film succeeds. Glad you like this one Josh! It’s quite fascinating to see the real story, though I hope there’s more depth about each character. Still it’s interesting to see that in the film RUSH they over-dramatized Hunt & Lauda’s relationship, making it look as if they didn’t care for each other when the opposite is true. Agreed. That was the most interesting part of this one. The men were friends. Howard did not represent that. It was also pretty fascinating to see how spot on Daniel Bruhl actually was. So. Again, thank you so much for sharing this with me! Sweet this sounds really cool! It is a nice companion piece to Ruah, showing some of the truth Howard glosses over in his narrative flick (like the fact the two men were actually friends). Awesome yes that sounds good considering Rush makes them seem like enemies who hated each other. It sure does. Plays it up in great detail, actually. Interested in seeing this documentary after last year’s Rush which I enjoyed but felt was a little flimsy at times. I had the same feelings about Rush, actually. This documentary is good, but I think it could have been even better with a full feature length run time. Have not seen Rush yet, but do you think it would be a good idea to watch this first? May work in judging just how effective the film is. Well written review! I guess it depends on your current background knowledge. If you already know a fair amount about the rivalry and that year in Formula 1, seeing this can’t hurt. If you don’t know much and want to avoid spoilers for Rush, then maybe see this after. The one thing this doc is guaranteed to do: make you appreciate just how spot on Daniel Bruhl is as Niki Lauda.